You helped someone leap out of poverty Thank you for giving . . . Thank you for giving generously during the Christmas season to provide vocational training and trade tools like sewing machines to a person in poverty. Because of your compassion, someone was able to receive an education, learn valuable skills, receive vital tools, and jumpstart a new career. Whether your gift provided training or equipment in welding, tailoring, cosmetology, or another high-demand field, you gave one aspiring entrepreneur the ability to support his or her family and leap out of poverty. Sometimes all a person needs in order to succeed is someone to invest in him or her. Thank you for making that investment in a person like Agness. She now has a bright future ahead of her because of the life-changing vocational training she received. Many young people can’t afford to finish high school, let alone go to college. But when you provide training or equipment in welding, tailoring, cosmetology, or another high-demand field, you give one aspiring entrepreneur a way to support his or her family. Agness’ story begins when her future dreams and plans were ripped apart at the seams. At just 17, she was already a mother of two, and the father of her children had abandoned her. Agness was forced to move back in with her mother. But Agness’ mother was overwhelmed. She couldn’t provide for Agness and the two children along with Agness’ younger siblings who were still living at home. Agness felt tremendous guilt and shame at not being able to support herself and her children and at how much strain she was putting on her mother. Her situation seemed hopeless. But then, Agness was given the chance to attend vocational school and receive her very own sewing machine. 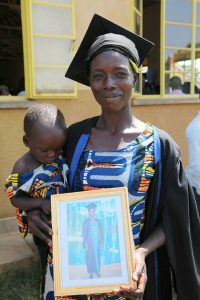 She began taking classes in sewing and tailoring at a nearby training center in Gulu, Uganda. She learned all the skills she needed, and on her graduation day, she was given a sewing machine of her very own. 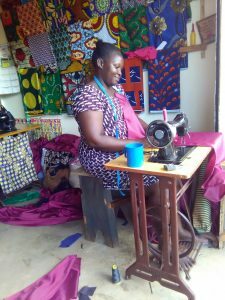 Having a sewing machine meant Agness could have a workshop and start her own tailoring business. She was able to welcome her customers with confidence and pride. She no longer had to rely on others to provide for her children. She was able to use her new skills to start over. When Agness graduated from vocational school, her future changed forever. 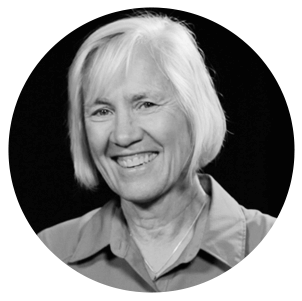 She started a successful tailoring business that enabled her to buy a bicycle for transportation — and allows her to tithe at church. Now Agness is enjoying all the benefits of striking out on her own. With the income she’s earned from her tailoring, she has been able to buy herself a bicycle for traveling to and from work. And she was able to move out of her mother’s house and rent a home of her own. Agness said she is most thrilled that because of her new job she is finally able to tithe at church. Empowered and hopeful, Agness is excited for everything that’s to come. When you provide vocational training for a person living in poverty, you do more than provide him or her with a brighter future. You also help restore dignity and independence. Thank you, again, for giving financial stability to someone like Agness. Your support means he or she now has hope for a better future.